A new perspective on Sailing. Improve your performance! 2 to Enjoy and Analyse Races afterwards. These days, foto finishes, hawk eyes, video goal judges, rfid tags and gps tracking are common techniques used to analyse and judge sport results. In sailing regattas, racing committees pay special attention to the moments of start and finish. However, during the race, it becomes increasingly challenging to make clear observations. This results in the fact that the initiative to protest against fellow participants has to come from the sailors themselves. A common shortcoming in such situations is that racing committees have no objective means to analyse races anymore. To get more fairness and transparency in this sport, participants can now use gps tracking from I-Sail. I-Sail is an app to install on smart phones to record gps tracks. This will help to get objective data to judge a protest properly. Furthermore, it will help to analyze whether participants sailed the proper courses and took their penalties if applicable. And of course you get more fun out of it! This is the aim of I-Sail to get more fairness and transparency. Use the app for tracking your regatta, training or recreational day sailing and analyze on your PC, or upload the data to share with others. No need for any additional hardware other than your smart phone! 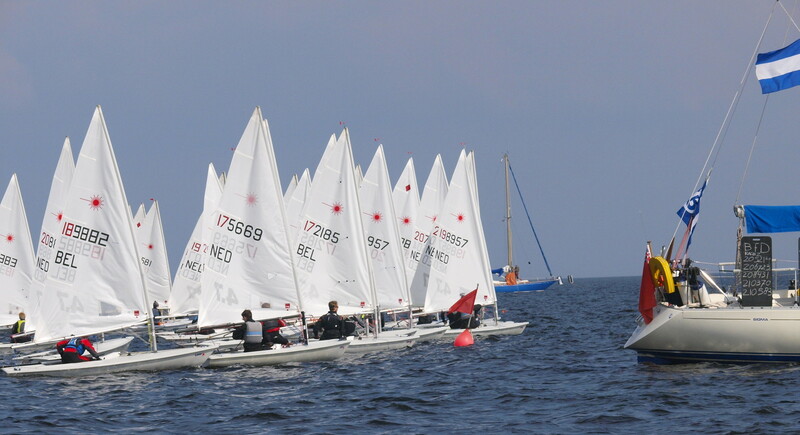 Push your sailing skills to a higher level. Tracking has never been this easy! Easy to launch the marks for the committee. Amazing, you have never done this before! Want to become an Event Manager? Or a regional Distributor? Login to analyse your tracks!